These strings are engineered with the performer in mind and they will always stand up to rigorous practice and performance schedules. We start with our highest tensile-strength core wire, then tin-plate it on all six strings for added corrosion resistance; because what you don’t see matters! When coupled with our highest quality wrap wire you get consistent true tone that you can count on song after song. 80/20 Bronze. 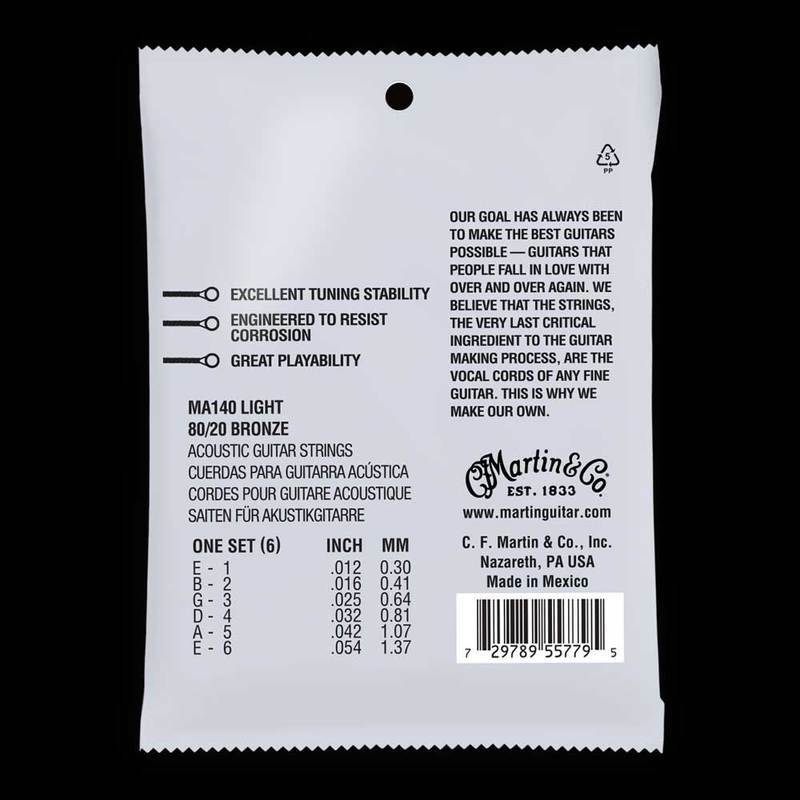 Martin Authentic Acoustic SP® strings offer excellent tuning stability, corrosion resistance and great playability. Designed to cope with demanding practices and schedules. Martin Authentic Acoustic SP 80/20 strings feature their highest tensile-strength core wire, and are tin-plated for enhanced corrosion resistance. These Acoustic SP strings provide players with good tuning stability as well as a true and consistent tone, throughout gigs. 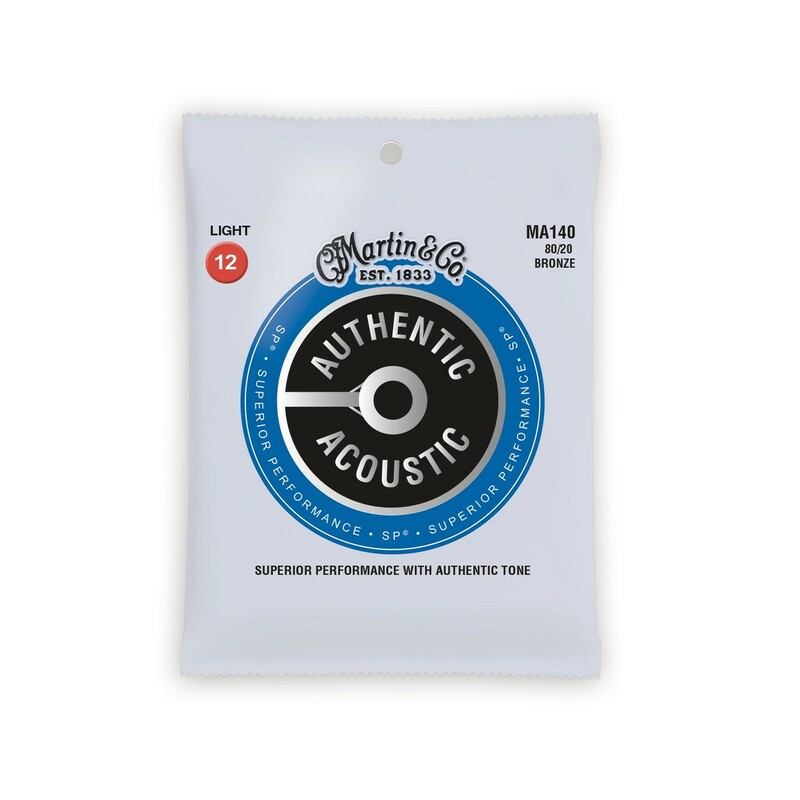 Manufactured with 80% copper and 20% zinc, these acoustic guitar strings yield a bright and ringing tone. These Acoustic SP strings include gauge 12-16-25-32-42-54.